This My First Frugi set contains two cosy organic cotton bottoms, a top and cardigan - everything you need to make dress a new baby in comfort and style. 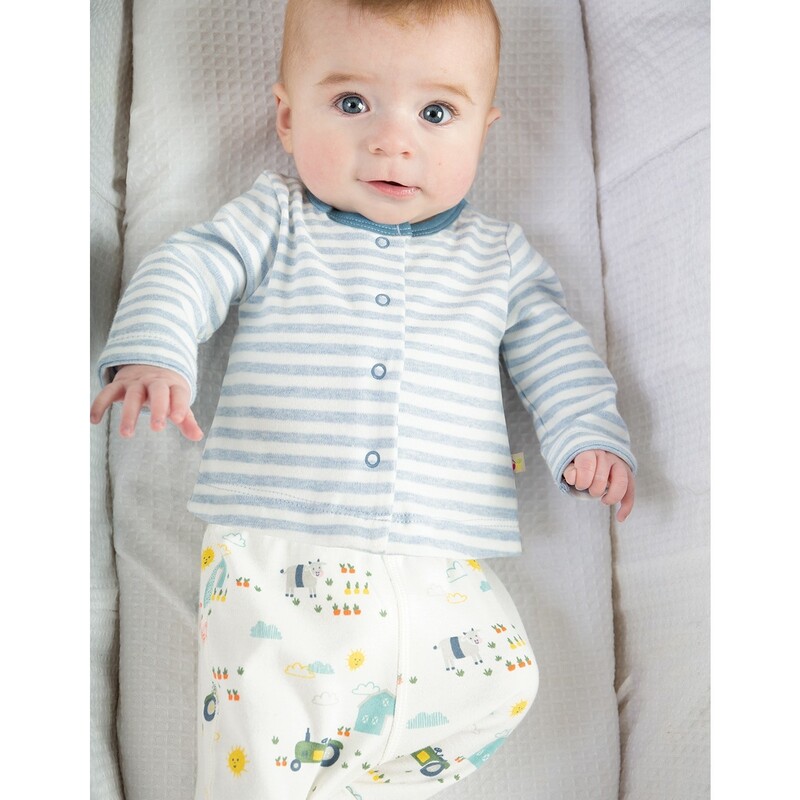 The two baby trousers have integral feet and are cut for cloth nappies - one pair have blue stripes and the other have a harvest time print. The comfy top has the harvest print with crops, a tractor and animals, plus an envelope neck and blue trim. The cardigan has blue and white stripes and poppers running down the front. 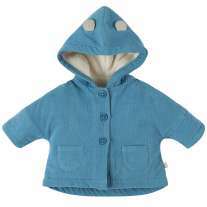 This baby outfit is ethically made with super-soft organic cotton which is gentle on delicate baby skin and eco-friendly.